For this introductory page we begin by making a few comments about the 1841 census of Brynmawr. Many people would argue that the 1841 census of Britain is less valuable than later returns. The primary reason for this notion is because in 1841 the census does not indicate relationships between individuals living in the same household, or the county and parish were individuals were born, details that are included beginning in 1851. Nevertheless, despite these shortcomings, the 1841 census is a valuable tool for genealogists because it provides the first opportunity to examine communities in their entirety. This is certainly the case for the town of Brynmawr, where in 1841 we get our first detailed look at the individuals who made up this thriving industrial community. 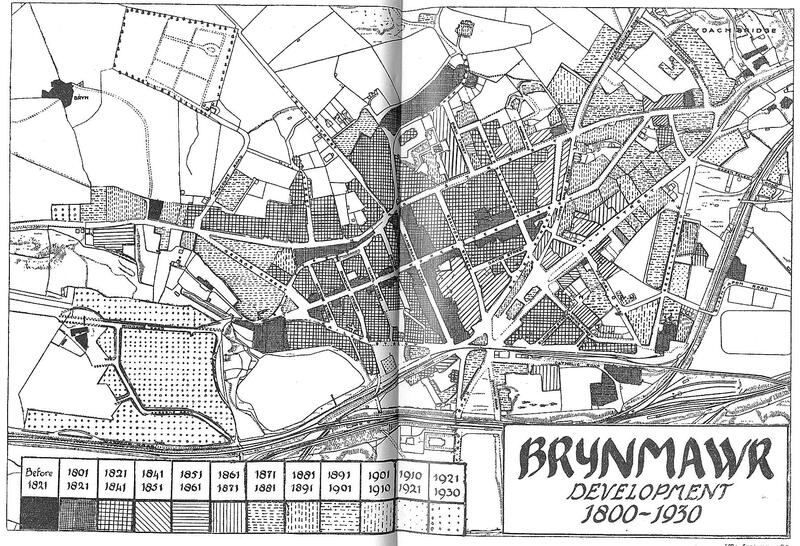 My own brief study the census indicates that there were roughly 2,600 individuals living in Brynmawr proper in 1841. Of this number, only about 1,050 (40%) are listed as being born in Breconshire, while 60% of the town's inhabitants were from other counties or countries. This reflects the changing immigration pattern of people arriving in Brynmawr at the time of the census. In the early part of the 19th century, as the iron works around the town began to grow, most of the workers arriving in the region were in-county immigrants (Jennings). As the decades passed, however, most of the new arrivals began coming from Carmarthenshire and Cardiganshire in Western Wales, followed by immigrants from England, many of who came from Somerset. 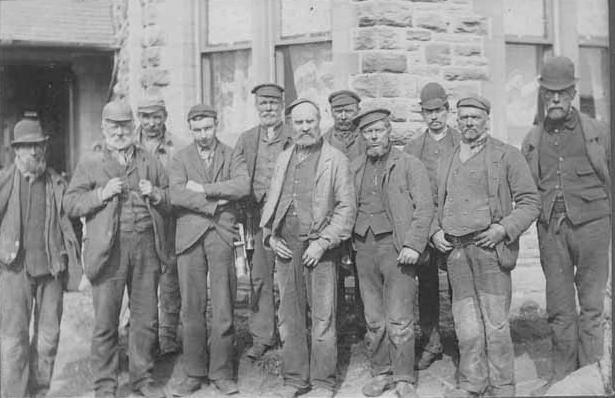 Below: Nineteenth-century miners from the Ebbw Vale. The returns show that most of the town's male workers were employed by the coal mining industry, 384 individuals in all, including 233 miners and mine laborers, and 151 colliers. The iron industry was next with a total of 80 workers. This mix of industrial workers here is actually quite revealing. While it is generally accepted that Brynmawr grew up as a dormitory town for the iron works at nearby Nantyglo, the 1841 census shows us that we must amend that statement. The census reveals that 83% of Brynmawr's industrial workers were either (coal) miners or colliers (and there is a difference between the two), while only 17% were involved directly in the processing of iron ore and the making of iron (iron miners, pudlers, etc.). In other words, although Brynmawr may have been a dormitory town for the iron works at Nantyglo, in 1841 most of its industrial workers were coal miners, not iron workers. Below: Below: View of the "The Patches" above the town. 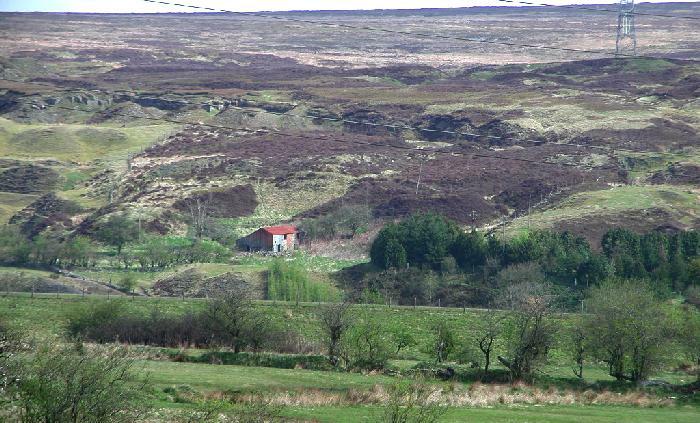 Some of Brynmawr's earliest mining activity was concentrated here in the hills behind the town, where the earth was "patched" (the top layer of soil removed), and shafts were dug into the sides of the hills to extract coal and iron ore near the surface. Today this area stands as a stark reminder of Brynmawr's industrial past. Photograph copyright 2004 by Jeffrey L. Thomas. The 1841 census is also interesting because many of the roads and streets familiar to later residents had either not yet been built, or went by other names. While we are able to find familiar street names like Beaufort, King, Glamorgan, Bailey, Worcester and Somerset, in 1841 many of Brynmawr's residents lived in places that are difficult to identify today. These street names include things like Davies' Buildings, Price's Court, Lewis Houses, Pauper's Row, James Thomas' Row, Wm Prosser's Row, John Phillip's Row, and descriptive names like "side of tram road" and "side of hill". These newly-built housing rows reflected the tremendous growth of the community between the years 1820 and 1840, when entrepreneurs began purchasing real estate in Brynmawr in order to erect housing for newly arriving industrial works (Jennings). Follow this link for a map showing the growth of the town, 1800-1930. There are some other interesting snap shots provided by the census as well. 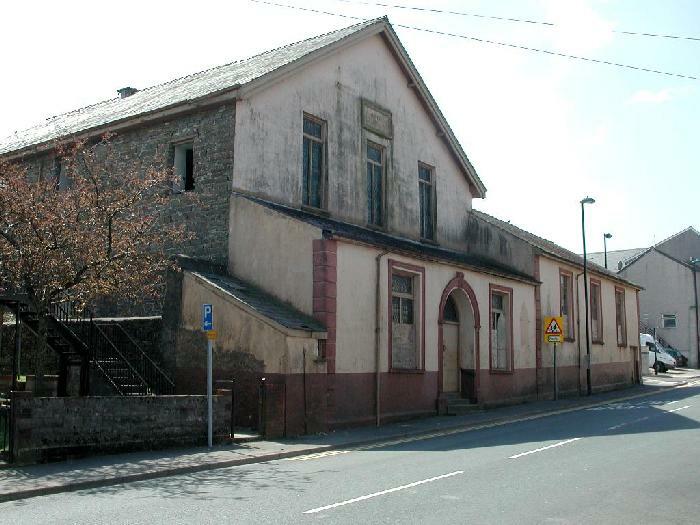 Several of Brynmawr's mid-19th century public houses are identified by name in the returns, including the Angel Inn on King Street(? ), the Prince of Wales on King Street, and the King Crispin. The King Crispin, infamous for its associations with the 1839 Chartist attack on Newport, is listed on "Pauper's Row" although history tells us this road was later called Boundary Street. The returns also give us the only census glimpse of the Rev. David Stephenson, minister of Rehoboth Congregational Church on King Street, the first non-conformist chapel built in Brynmawr in 1827. Rev. Stephenson was living with his wife Mary on Somerset Street, probably close to the intersection with King Street, near the church. Stephenson was an important early leader of this venerable Brynmawr chapel, and was known far and wide for his spirited sermons and humble nature (Williams). His wife Mary died a few years after the 1841 census was taken, and Stephenson himself became a victim of the terrible cholera epidemic that swept the region killing thousands in 1849. He was buried under the "big pew" near the alter of the church (Williams). Below: Rehoboth Congregational Church on King Street is sadly being torn down. Photograph copyright 2004 by Jeffrey L. Thomas. We are fortunate because we have two additional tools to help us understand the 1841 census. The first is the aforementioned history of Brynmawr by Hilda Jennings, published in 1934, and the second is Pigot's 1844 directory for South Wales, which includes a section on Brynmawr and the surrounding communities (Llanelly Parish). The former provides what is arguably the most detailed social and economic history of Brynmawr ever written, while the latter provides the names of many tradesman and merchants from Brynmawr and the surrounding communities, along with other valuable information on everything from local churches and schools to public transportation. By using these three sources in conjunction, one is able to form an understanding of, not only what life was like in Brynmawr in the mid 19th century, but also of the individuals who made up the community. Many would argue that such a well-rounded perspective is essential to understanding, not only who our ancestors were, but how they lived.